David walked in late to a presentation I was giving on managing insomnia. I’d surveyed my audience and launched into a talk for retirees. But here was David, a high school teacher in his early twenties, and I realized I was going to have to change the remarks I was about to make. 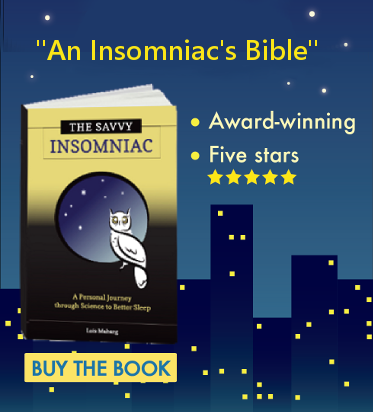 We think of insomnia as mainly an affliction of older adults. But the facts don’t bear this out. David walked in late to a presentation I was giving on managing insomnia. I’d surveyed my audience and launched into a talk for retirees. But here was David, a high school teacher in his twenties, and I realized I was going to have to change the remarks I was about to make. Reports of sleep disturbance were highest among adults in the youngest age group, 18-24. Tiredness and lack of energy were also highest among adults ages 18-24. What’s more, 42% of the nearly 2,400 young adults surveyed in a study by the Harvard School of Public Health reported insomnia symptoms. That’s higher than the national average of 30%. What’s behind the sleep problems of millennials, the generation that started coming of age at the turn of the century? Trouble sleeping in millennials may be due to a circadian phase delay. The internal circadian period, which in humans averages a little more than 24 hours, expands in adolescence (for reasons unknown) and this longer circadian period can continue as people move into their twenties. The result is that they want to stay up late and get up later in the morning. 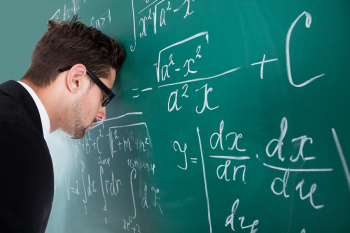 Sleep preferences that conflict with school and work schedules are a setup for insomnia. The phase delay could be exacerbated by use of blue light-emitting devices at night, which I blogged about last week. As for the main source of stress, millennials and gen Xers were most likely to say they were stressed by work, money and job stability. With unemployment among millennials running in the double digits for 6 years now and the average student loan debt at $30,000, it’s hardly surprising that employment and financial concerns would sabotage the sleep of the young. 6% of adults ages 55 and above. Currently there’s a drive to raise awareness about sleep issues in teens. But I don’t see an effort being made to address the sleep problems of young adults trying to gain a toehold in the job market. Why not? Twenty-somethings who struggle with insomnia may cope with it in unhealthy ways, and once insomnia becomes chronic, it puts even the young at risk for depression, obesity and heart attacks. Why not launch a public health campaign aimed at helping the young and sleepless at a time of life when the help would do most good? 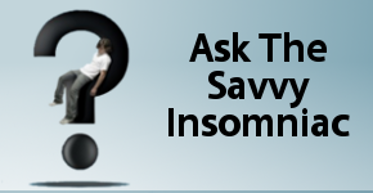 If you’re in your twenties and have trouble sleeping, what do you think is the single biggest cause of your insomnia? Great article! This topic is so pervasive amongst millennials which extends beyond 18-24 year olds; I quietly surveyed a fair number of colleagues at work (i’m 26 and my colleagues were aged 24-30) and almost every one (~15-20) had problems with sleep with over half stating they never really slept much except weekends. Thanks for your appreciation and for sharing the results of the survey you conducted at work. It IS crazy that so many of your colleagues have sleep problems. In view of the information I gathered for this post, though, I’m not surprised to hear it. I think the pervasiveness of sleep problems among young adults today is an under-recognized problem. That’s the only explanation I have for why there isn’t a public health campaign directed specifically at adults in their twenties communicating not only the value of sleep but also the fact that there are effective ways to improve sleep (without drugs). Young adults with trouble sleeping would have so much to gain from a bit of coaching on the changes in habits and mindset that could set them on the path to better sleep for years to come. I don’t understand why it isn’t happening.